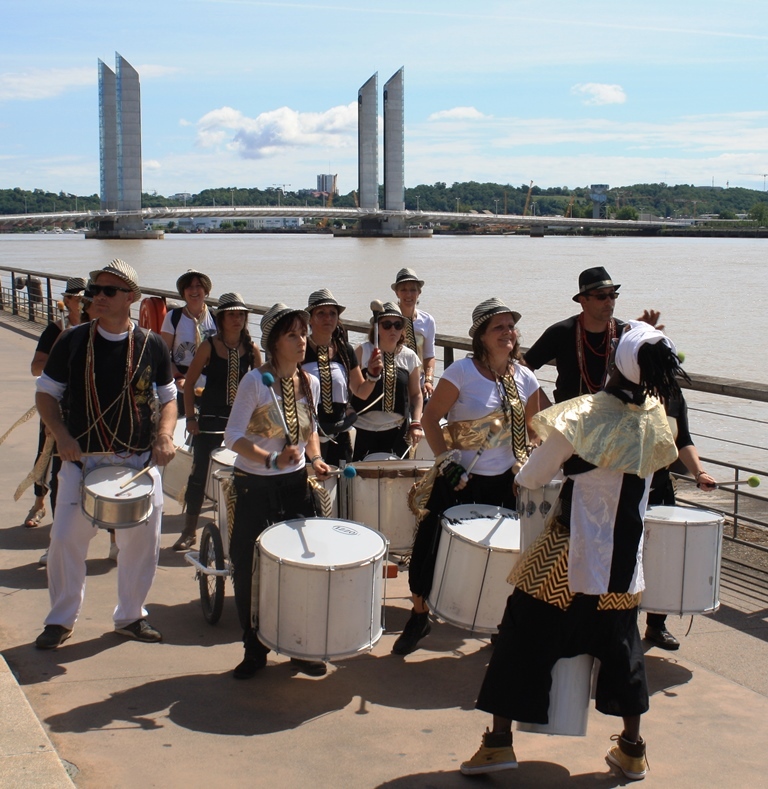 We are not long back from a week’s holiday in Bordeaux, the beautiful city on the river Garonne in the south west of France. It’s only a two hour flight from Edinburgh and we got through customs quickly. The hotel recommended that we get the Lianes 1+ bus, so we got that. We hadn’t realised that this bus stops everywhere and it took us 1 hour 10min to get to where we changed for the tram, because of rush hour traffic. So we just had to thole it. There is always an element of uncertainty when you travel to a new place and you never quite relax until you get to where you are staying. Where we did stay – the Hotel Vatel – was excellent in terms of comfort, staff and location. From our hotel, we could see the River Garonne which flows around the city. It’s a wide river and some cruise liners (not the huge ones) parked on the quayside. There are a number of bridges across the Garonne, with the oldest being Le Pont de Pierre (good photos) which was ordered to be built by Napoleon and opened in 1822. It is a very impressive piece of engineering, with 17 spans, most of which you can see in the first photo below. You can walk or cycle across the bridge or cross it by bus or tram. Bordeaux has an excellent tram/bus service and you can get a ticket, which you can use on the tram and/or bus for 1Euro 50cents – this takes you anywhere you want in the city and lasts for an hour. 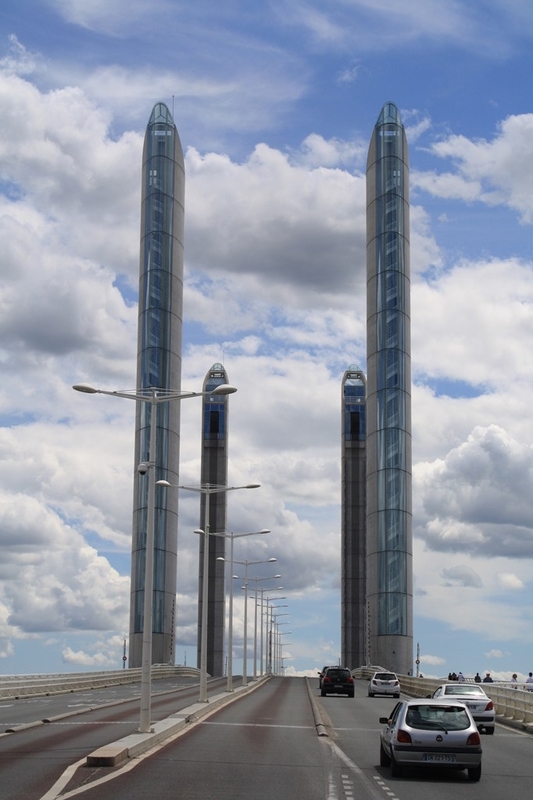 There is a new bridge in Bordeaux, Le Pont Jacques Chaban Delmas (good photos) down river from Le Pont Pierre and it is a stunning example of modern design, engineering and architecture. Unusually, the bridge has a vertical lift (see website) to allow the larger ships to pass under. 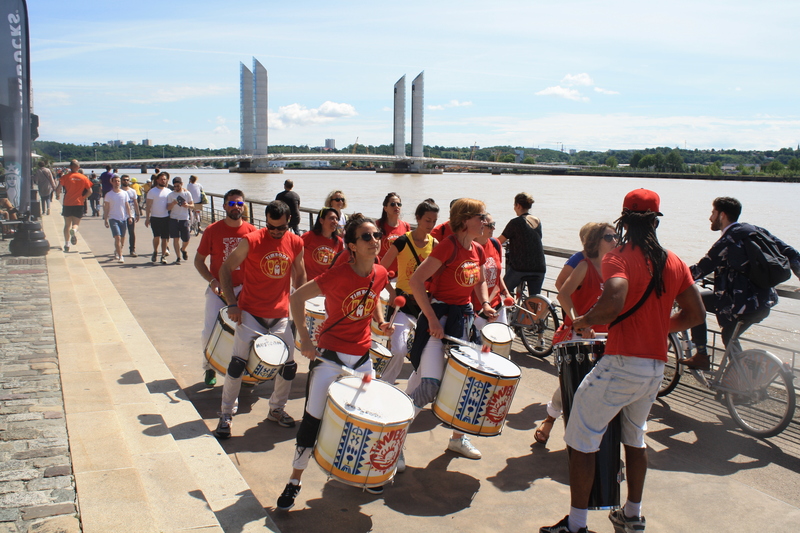 You can see the bridge’s elegant towers in the second photo below and also, in the background, in the drum band photos below. The towers reminded us of the modern architecture we were used to seeing in Dubai when our son, daughter in law and twin granddaughters lived there. Another feature of the riverside is the promenade or quayside (good photos) where hundreds of people walk, cycle, roller blade and run every day. You have to watch carefully as some of the cyclists and roller bladers go at high speed, weaving their way in between walkers and runners. On the Sunday morning, we could hear the sound of drums further up the river, away from the centre. The drumming got louder and louder and the first of the drum bands approached. All the bands were brightly dressed and drummed with passion – it looked very hard work, so they must have been very fit to do the drumming. This was a great addition to our Sunday morning stroll and very much appreciated by the many people on the quayside. Two of the bands are shown below. 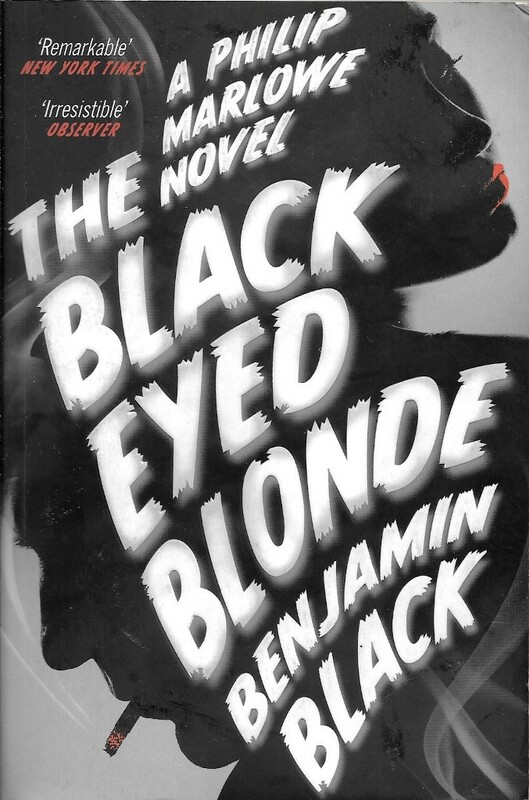 On the plane home, I finished reading Benjamin Black’s (aka John Banville) The Black Eyed Blonde, given to me by my good friend John. The book is written in the style of Raymond Chandler (podcast by John Banville) and features Chandler’s world-weary detective Philip Marlowe. It is a wonderful read, with a well-paced plot, interesting and believable characters, sharp dialogue and Marlowe’s accurate and often witty observations on people he meets and the world in general. Like the Chandler novels, this is one of these books that you can open at random and find something quotable. Marlowe is asked by a Miss Cavendish to find a man called Nico Peterson. Miss Cavendish is (like many women in Chandler novels) beautiful and Marlowe reflects on “.. the tip of her nose – and a very nice tip it was, to a very nice nose, aristocratic but not too narrow or too long, and nothing at all like Cleopatra’s jumbo snozzle”. This is typical of a Marlowe reflection – detailed and often containing wit. It turns out that Peterson was found dead but, on Marlowe’s second meeting with Miss Cavendish, she claims to have seen him alive. Marlowe follows a number of leads and meets a range of flawed (and sometimes unsavoury) characters and is subjected to serious violence at times in the story, like many detectives in novels. The ending is neat and not melodramatic. My (very literate) friend John argues that many crime novelists lose their nerve when it comes to ending their books and go for wildly dramatic and often violent scenes. Neither Chandler nor Black is ever likely to do that. This is a memorable novel, so get a hold of it any way you can.